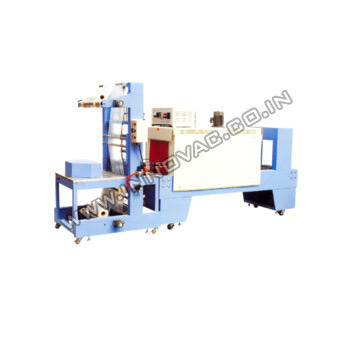 We introduce ourselves as a notable Semi Automatic Web sealers manufacturer and supplier in India. We offer a comprehensive range of Semi Automatic Web sealer at the market leading prices to the clients. working efficiency 12-18 sets /min. INNOVAC MACHINERIES INC( formerly Innovac Engineers) is a new generation enterprise that provides Food processing Equipments , Conveying solutions and integrated automated packaging solutions for a variety of purposes. The company's expertise allows it to undertake turnkey solutions for Food processing line,secondary packaging requirements,packaging tools and conveyor systems. We are a manufacturer and supplier of conveyor systems, Secondary packaging machines, Packaging Tools and material handling solutions provider. We have an immense field experience since 1998 We have been in the business since 2009 and it’s with our significant contributions we excels in the realm. We can say it with confidence that every food processing equipments, Conveying systems and high-end packaging automation solution offered by us will definitely bear the hallmark of reliability – the very foundation of our enterprise. Sensing the demands of our clientele spanning across the country, We keep emphasizing on promoting leading edge packaging solutions combined with high quality consultancy service and technical support. We have contributed to various packaging and material handling industrial automation projects in our 18 years of field experience. Our mission is to serve the industry with innovative adoption to the technology with continuous improvement through intelligence.